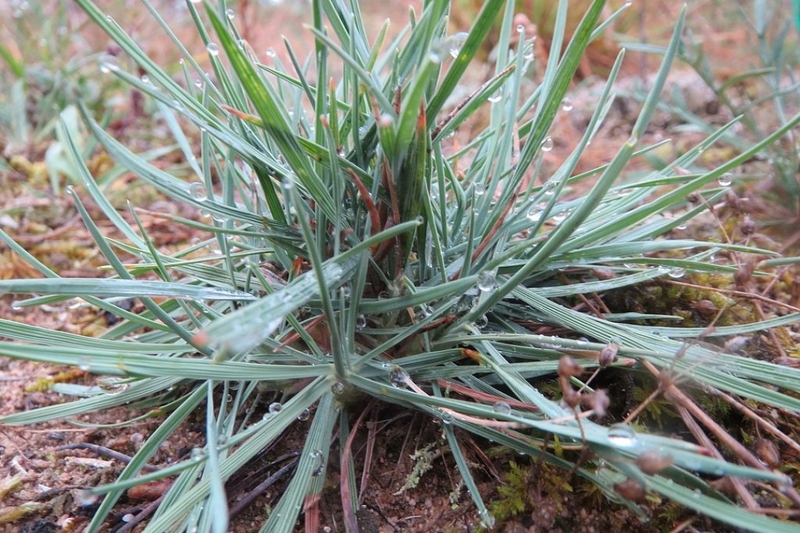 Blue Hair Grass (Koeleria glauca): growing, planting, caring. A small grass, maybe less famous than the blue fescue, but equally loveable with its evergreen blue gray foliage and pretty arching leaves. Its only needs are a sunny spot and a well-drained soil. Koeleria glauca - the Blue Hair Grass - is a grass species of the genus Koeleria, growing in dunes and other sandy places in temperate regions, mainly in eastern Central Europe with its western outposts in the coastal dunes of Jutland and inland dunes in the Rhine Valley. The plant's foliage is bluish-grey in colour and is 15–30 centimetres (5.9–11.8 in) in height. Flowers bloom from May to July and can be 35–55 centimetres (14–22 in) high. Koeleria glauca is both frost and drought-resistant. Koeleria glauca are small rhizomatous perennials with evergreen or semi-evergreen foliage, originating from temperate regions and forming a tuft. The leaves are thin, grayish green or gray-blue. The inflorescences appear in June-July in decorative spikes. You can plant your Koeleria glauca in open soil, but they will also be suitable for a large pot. - Plant your Koeleria glauca in the sun or possibly semi-shade in neutral limestone soil, poor and very draining, from February to April and from September to November. Prepare the soil by a light digging (to decompact without necessarily turning it, with a pitchfork or a broadfork), a scratching and a raking. Keep a spacing equal to the final height of the plant if you want the clumps to appear separated, and half if you want a mass effect. Water thoroughly after planting. - In pots, plant in a mix of loam and sand, in a container pierced at the bottom, and equipped with a cup. If you have some on hand, add gravel, clay balls or other terracotta chips to the bottom of the container. After planting, add a "decorative" mulch - no rich mulch, Koeleria glauca likes poor soil! - around them. The choice is up to you, according to your tastes and what you have available. Crushed wood is suitable, or bark, or even a mineral mulch if you are looking for a rock effect. Our advice for keeping beautiful foliage, is to divide your Koeleria glauca every 2-3 years to rejuvenate the foliage. How? Using a sharp tool such like a spade, cut the root ball in half without damaging the foliage, then replant the two halves 20 cm apart. Koeleria glauca does not immediately grow high and wide, so mulch the entire area with a rather inert material such as gravel, bark or crushed wood. Do not put grass clippings or compost, Koeleria glauca likes poor soils.